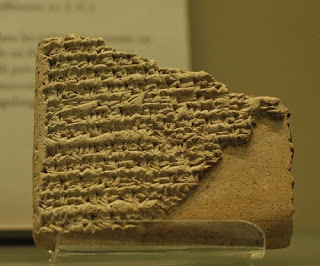 Sargon or Shirukhan in the Akkadian language was the first Emperor in history, established and ruled the empire of AKKAD for 56 years from the year 2334 BC till 2278 BC, a very rare personality in the beginning of history, unequal in his determination that led him to greatness and whom the Babylonians in their chronicles wrote about him in the year 550 BC that is 1700 years later, his presence echoed over all the history of Mesopotamia. 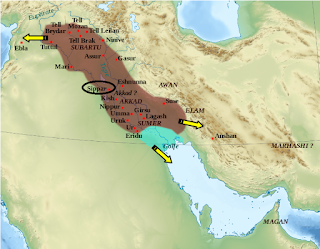 He was born in the city of Azupirano which means saffron in the Semite language of Akkad, we have no record of its where about exactly but according to the site gates of Iraq, it is located near Sippar as shown in the map it is next to the Euphrates River. Sargon, the mighty king, king of Agade, am I. My mother was a changeling, my father I knew not. The brother(s) of my father loved the hills. My city is Azupiranu, which is situated on the banks of the Euphrates. My changeling mother conceived me, in secret she bore me. 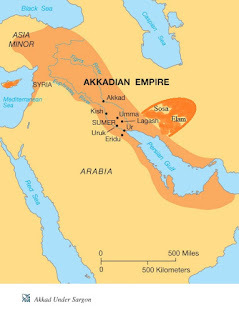 In brief he was an illegitimate son of a priestess and in similar story to that of prophet Mosses he was cast into the river to reach Akki the gardener of king UR-ZABABA king of KISH. YOUTH: Sargon after years of working in the garden was promoted to be the king's cup-bearer meaning the one who pours wine to the king, and the king of Kish trusted him and would discuss with him the state's matters, until the king saw a dream with goddess Inanna telling him that he will drawn in a pool of blood, it was time for the king to get rid of Sargon as an interpretation of the dream, by sending him to the king of Uruk (refer to the map above to know the locations of these state cities) king Lugal-Zage-Si whom was also the king of Umma in an effort to unify Sumer, with a message sealed in an envelope(clay envelopes imagine that) asking the king to kill him. 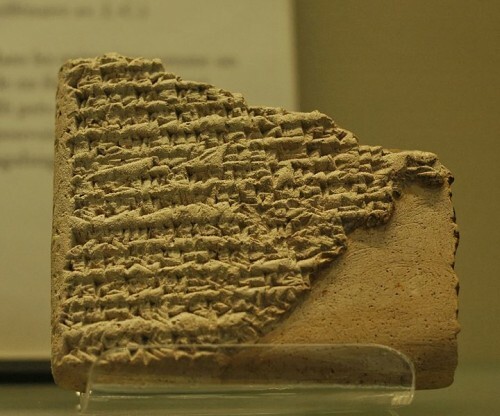 The king of Uruk refused to do it as he was preparing to invade Kish, and he did but in a very nasty way destroying the city and killing a lot of people. Sargon after seeing that went back to his birth place Azupiranu which he called it later Akkad and from there he started thinking of a complete plan, so he led an army from his home and Kish and surprised Uruk in a counter attack that surprised the people of Uruk, he came out of the battle victorious and pulled the king of Uruk like a dog (as the tablets say) to Nippur and killed him there in front of the high temple. 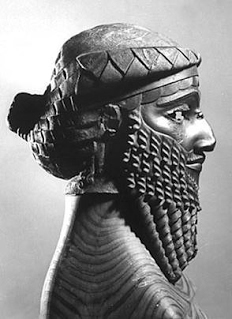 The statue of Sargon shows the great detail and the level they have reached in art, using lead for the first time. Then he went North and captured all the states up to the Mediterranean and even crossed the sea to capture Cyprus, and on his way back the people of Elam was plotting to attack his new empire so he led army east and captured Elam and Sosa, and by this his empire was complete and trade started for the first time from the Mediterranean to east Asia. Death: The name of Sargon's primary wife Tashlultum and those of a number of his children are known to us. His daughter Enheduanna, who flourished was a priestess who composed ritual hymns. Many of her works, including her Exaltation of Inanna, were in use for centuries thereafter. Sargon was succeeded by his son, Rimush whom like his father quieted all the revolts that occurred after hearing about the death of Sargon; after Rimush's death another son, Manishtushu, became king. 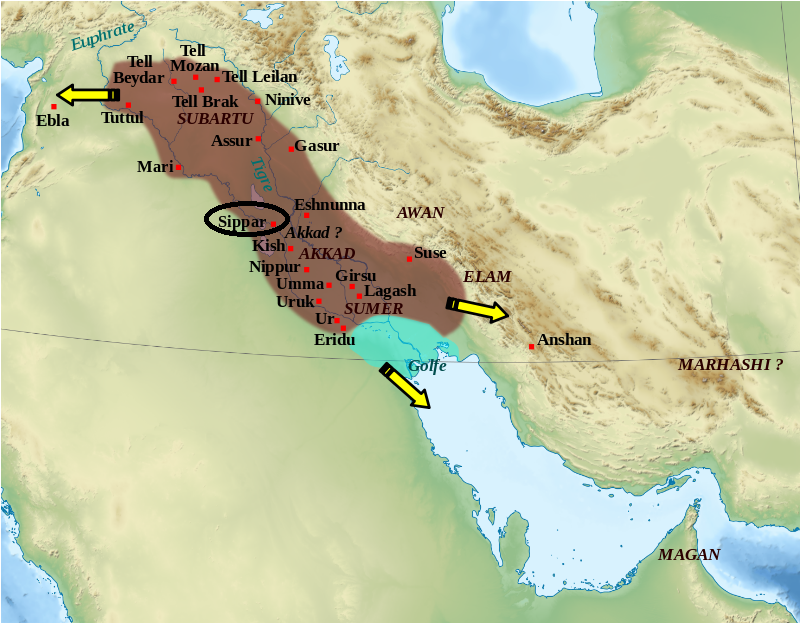 Two other sons, Shu-Enlil (Ibarum) and Ilaba'is-takal (Abaish-Takal), are known. The Akkadian empire was disestablished in the year 2154 BC a total of 180 years.